How have everyday people contributed to democratic ideas in the United States? Use our resources to find out. Chilangas like these are able to submit and vote on petitions to the constitution of Mexico City. In a bold move intended to involve more people in the democratic process, Mexico City is crowdsourcing its constitution. What is a constitution? A constitution is a system of ideas and general laws that guide a nation, state, or other organization. Big political entities like countries and states have constitutions, but cities usually do not. Why does Mexico City have a constitution? Citizen science often uses crowdsourced data. Join a local BioBlitz and get in on the action yourself! OpenStreetMap uses crowdsourcing to create and maintain geospatial data layers. Facebook uses crowdsourcing to create different language versions of its site. Khan Academy relies on crowdsourced translations of its education videos. Wikipedia, of course, is the crown jewel of crowdsourced information, and Wikipedians in Mexico City have been a part of the crowdsourced constitution effort. 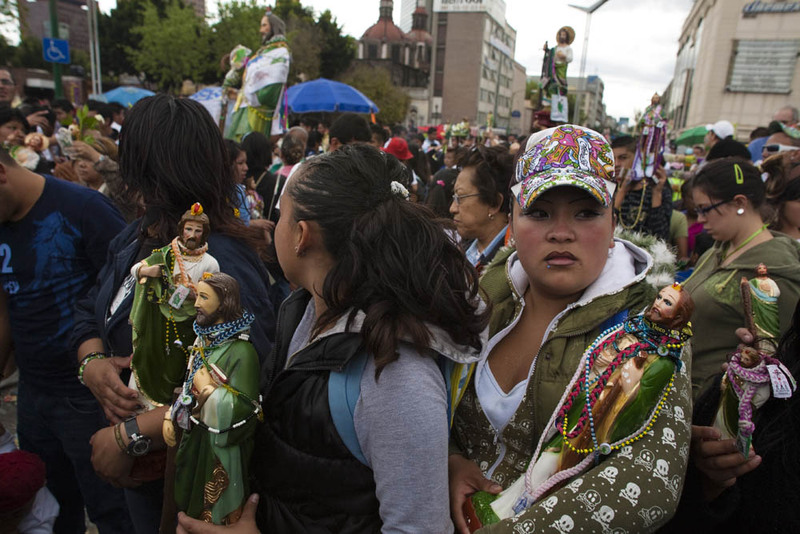 What methods is Mexico City using to crowdsource its constitution? An online, 20-question questionnaire allows residents and visitors to identify Mexico City’s biggest challenges, opportunities, and visions for the future. A change.org campaign allows users to write their own constitutional petitions or vote for others. For chilangos (Mexico City residents) who aren’t online, the government has set up 300 mobile kiosks around the city, so everyone can participate in the questionnaire and petition process. So, are Mexico City residents just upvoting their constitutional amendments? What are some of the constitutional petitions submitted? The first petition to reach the coveted 10,000 votes suggested the constitution “should include an obligation to have a minimum of 9.2 square meters (99 square feet) of green area per inhabitant.” (!) We love this. The second most-popular petition (which has also reached 10,000 votes) seeks to ensure animals in Mexico City “live a dignified and fulfilling life as living, sentient beings.” Several other petitions support animal rights, such as protecting abandoned pets and banning zoos and bullfighting. More than one petition seeks to lower pay for some government officials. Many marginalized groups (such as the LGBT community, the disabled, indigenous groups, and women) have petitioned for guaranteed rights. Other petitions seek to ban the sale of junk food at schools, lower the voting age, and increase the number of paid vacation days. Take a look at Step 3 in this activity on democratic ideas. Three key fundamental principles and values of democracy are listed as the common good, popular sovereignty, and equality. How do some of the Mexico City petitions address these issues? Take a look here or the list above for some examples. Animal rights: Animal rights would also be categorized as addressing the common good. Any sort of declaration of rights also appeals to equality and dignity. Government salaries: These ideas demand the public officials be held accountable to the people they represent. This is the definition of popular sovereignty. Rights for marginalized groups: These appeal to democratic ideas about equality and justice. What petitions would you submit for your city or town? How would they support democratic ideas?